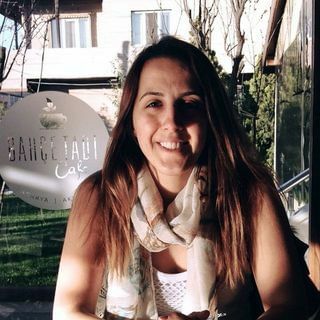 My name is Merve Miguel and I am a certified English language instructor and currently mastering in English and American Studies at Lisbon University. I am the founder of Alfama Language Community which is designed to teach English powerfully in a non-English environment with one-on-one lessons, discussion sessions, and communicative activities. I offer in-person tutoring in Lisbon and online classes via Skype. Here is my website> alfamalanguagecommunity.com After the review and discussion of appropriate grammar and vocabulary topics which suit your English comprehension level and needs, an individual plan will be made and get practice four skills of English; speaking, listening, writing and reading. I understand and speak basic Portugues, but my lessons are done completely in English. For more information, please contact me. I have over 5 years of experience in teaching English in several countries; I am currently teaching; - general English - finance and accounting English - business English, - intensive English courses for adults and kids I have taught English to adults, university students, businessmen and young learners.